The entire underbelly of a newly discovered glassfrog species (Hyalinobatrachium yaku) is see-through, allowing the beholder to peer into its heart. See J.M. 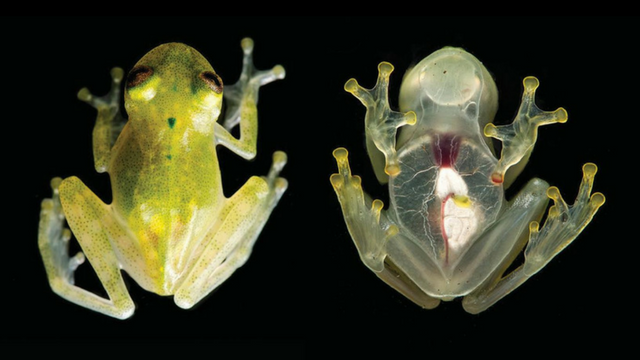 Guayasamin et al., “A marvelous new glassfrog (Centrolenidae, Hyalinobatrachium) from Amazonian Ecuador,” ZooKeys, doi:10.3897/zookeys.673.12108, 2017.